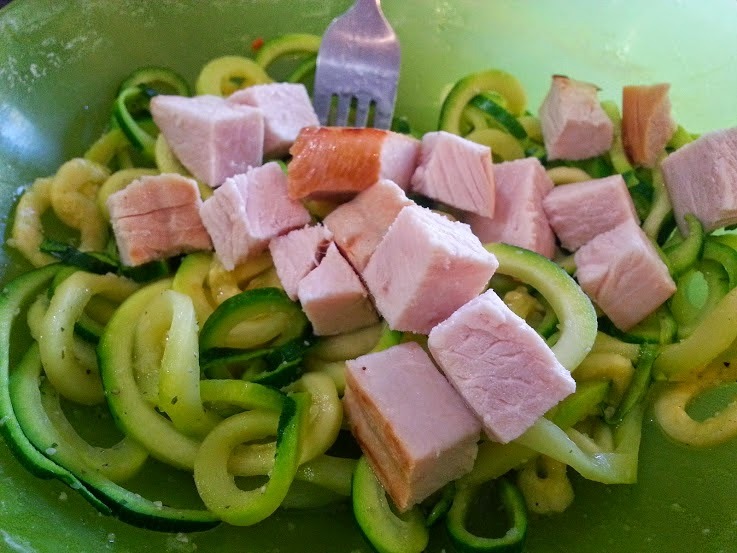 Chop off ends of zucchini and place in Spiral Vegetable Slicer to create noodles. Place noodles in steamer bag and add a sprinkle of Mrs Dash. Microwave on high 1 minute, 30 seconds. Allow to rest in bag 1 minute. Place "noodles" in bowl and squeeze lemon over them. Sounds Yummy! Did you get your spiral cutter off Amazon or Bed Bath and Beyond?